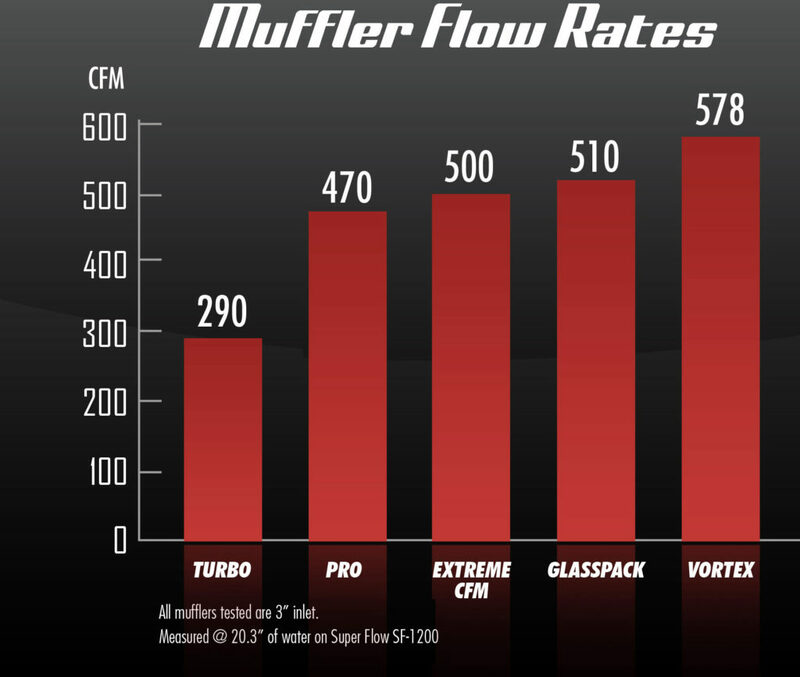 The decibel test was done with our muffler selection in a controlled environment, with all installed on the same vehicle and the same size inlet/outlet. YOUR SOUND WILL VARY depending on several factors including, but not limited to: application/vehicle, muffler(s) chosen, inlet/outlet size, pipe size and tooling used, outlet position, tip chosen (if any), and other sound-changing exhaust components. Visit the Cherry Bomb YouTube Channel and listen to our Sound Sample Playlist. You will hear several sound tests on a variety of our community's vehicles.